All buyers want a good deal – especially in the high-end real estate market. That’s why brokers and agents suggest giving your home a mini-makeover to better catch buyers’ eyes. You may need to work with an interior designer for this, but strategically updating your home allows you to command top dollar for your property. Consult your Realtor about renovations that bring the best value. It’s not just your furniture and appliances that need updating – your lighting does, too. After all, lighting defines the atmosphere of a house and its rooms. What you want is a bright, airy feel as it makes spaces look bigger. And don’t forget: your window treatments can also affect interior lighting, so you may need to revamp them as well. Amenities are one of the advantages of owning a luxury home. So if you’re selling your property, make sure to showcase these deluxe features. 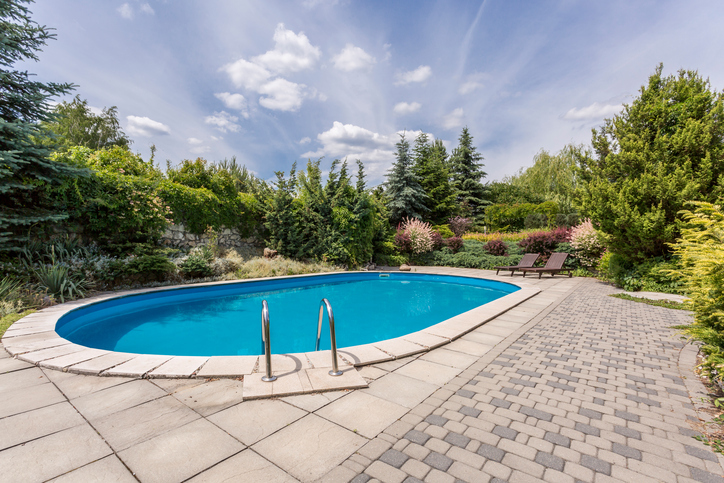 If you have a resort-inspired pool or a home theater, make sure they’re well maintained and functioning properly. Otherwise, they’ll be seen as a money sink rather than a perk. While you want to make your interiors look attractive, be careful that it doesn’t look too staged or antiseptic. After all, buyers want to feel like they’re walking inside people’s homes – and not a spread in Architectural Digest. A lot of times, this boils down to editing. You want to declutter the space and remove your knick knacks but don’t strip it of its personality. Leave a prized painting on the wall. Or a few coffee table books on your actual coffee table. Allow potential buyers to imagine themselves living in your home, but leave just enough of yourself in the rooms to let guests feel how much you cared for the house. You may be fond of bold colors, but there’s no guarantee your prospective buyers do, too. What you find invigorating they may very well find jarring. As such, play it safe by repainting your walls neutral tones such as white, beige, gray, or “greige.” This color scheme makes it easier for prospects to imagine themselves decorating the space to their liking. It behooves you to research who your home’s target market really is. That way, you can stage your home to suit that market segments needs and wants. Are you in a family-friendly community? Make sure to highlight features such as the children’s room or the expansive backyard. Is your condo perfect for ambitious urbanites? Try highlighting the cityscape views. Nothing signals good taste better than artwork. And if a buyer sees an excellent piece in your home, their valuation of its will instantly increase. Ofcourse, you don’t need to own a Picasso to make a statement – you can commission artwork instead from notable local artists. It doesn’t matter how beautiful your home is, clutter will make it unappealing. So before showing your property, get rid of stuff. Not only does it make your home look more spacious, it also lessens the packing you need to do when you move out. If you need help selling your home, or want to know where you can relocate around the Hamptons area, call Kerrigan County Realty at 631.288.9600 or send an email to broker(at)kerriganrealty(dotted)com.